A Bio-ultimate facelift is a non-surgical non-invasive cosmetic technique that provides an array of aesthetic benefits. A Bio-ultimate facelift utilizes a technology called microcurrent, whereby a low level of electricity is gently delivered to the treatment area in order to trigger favorable chemical reactions at the skin’s cellular level, much like the body’s own natural electrical current. 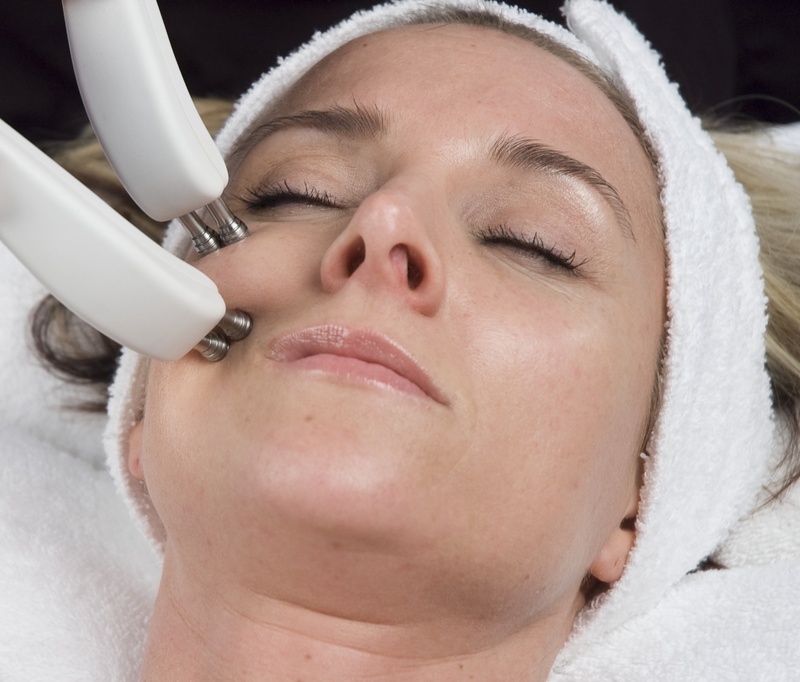 Microcurrent facials are painless and relaxing. Facial Sculpting is a technique that uses a safe microcurrent with electrical energy to stimulate and strengthen the muscle tissue under the skin, helping your skin regains that “plump and youthful” look again. It can lift, sculpt, and tighten any part of your face and neck. This procedure is non-invasive and has no downtime. The Bio-ultimate facelift procedure itself takes approximately one hour to complete. Approximately ten Bio-ultimate facelift treatments are recommended to achieve the desired results. After this series of treatments, a maintenance follow-up program is recommended to sustain the Bio-ultimate facelift benefits you enjoy. If you are pregnant, have had heart surgery in the past year, have a pacemaker or epilepsy, you should not receive Microcurrent treatments. * Clients with greater aging effects such as severe neck sagging, deep creases, or distinguished “crow’s feet” at the brow, may need up to 15 sessions. We recommend a minimum of 2 sessions the first week or two, then one per week thereafter. Clinical trials have proven a Bio-ultimate facelift can increase the skin’s natural production of collagen by 14%, increase elastin by 48%, and increase blood circulation by 38% in the first 20 days following the procedure. Research has also found Bio-ultimate facelift increases the body’s natural production of amino acids and ATP which play a major role in cell health and function to accelerate cell repair. The technique is also successful in treating a variety of medical conditions.